CarGurus has 9,521 nationwide MAZDA6 listings starting at $1,494. With huge design changes looming next year, Mazda has made no significant changes to its MAZDA6 midsize sedan for 2013. 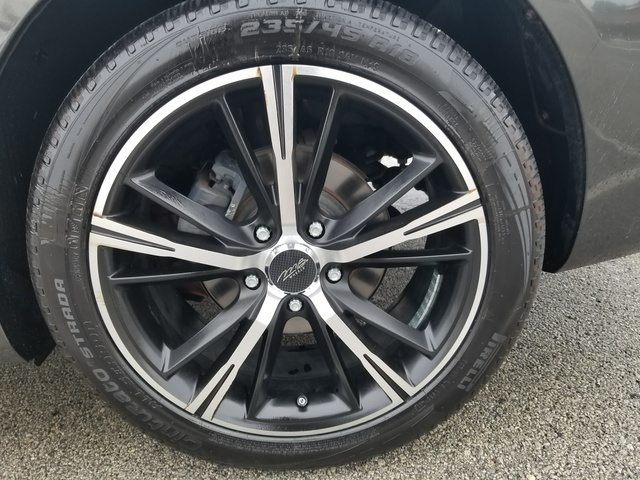 The s Touring Plus trim has been eliminated from production, and 18-inch aluminum alloy wheels are now standard equipment on both the i Touring Plus and i Grand Touring trims. For 2013, there are five regular unleaded-gasoline-powered trim levels available for the 2013 Mazda MAZDA6: i Sport, i Touring, i Touring Plus, i Grand Touring and s Grand Touring. All trims are front-wheel drive and, with the exception of the s Grand Touring trim, come equipped with a 170-hp 2.5-liter DOHC 16-valve 4-cylinder engine with VVT that achieves 167 lb-ft of torque. The s Grand Touring trim is equipped with a 3.7-liter DOHC 24-valve V6 engine with VVT that makes 272 hp and 269 lb-ft of torque. All trims except the s Grand Touring are paired with a 5-speed automatic transmission that has a manual-shift mode. The i Sport trim can also be configured with a 6-speed overdrive manual transmission, while the s Grand Touring trim is mated to a 6-speed sport transmission with manual shift mode. The s Grand Touring trim is estimated by the EPA to achieve 18 mpg city/27 highway, while the remaining trim levels are rated at 21/30. Standard features for the 5-passenger 2013 Mazda MAZDA6 include halogen auto-off headlights, power windows, power locks, steering-wheel-mounted audio and cruise controls, keyless entry, tilt-and-telescopic steering wheel, 60/40 split fold-down rear seats and rear window defogger. The i Sport trim also comes with air conditioning, dual power side mirrors, cloth seating surfaces, 6-way manual driver’s seat, 4-way manual front passenger seat, an AM/FM/CD/MP3-compatible stereo with 6 speakers and 16-inch steel wheels with all-season radial tires and full-size wheel covers. Upgrading to the i Touring trim adds an 8-way power driver’s seat with adjustable lumbar support, leather-wrapped steering wheel and shift knob, AM/FM stereo, in-dash 6-CD/MP3-compatible changer with 6 speakers, Bluetooth hands-free accessibility and 17-inch aluminum alloy wheels with all-season tires. A power sliding glass moonroof, dual power mirrors with turn-signal lights and under-mirror ground illumination, and 18-inch aluminum alloy wheels with all-season tires are standard equipment found on the i Touring Plus trim. For buyers opting for the Grand Touring trims, all of the mentioned upgrades are included, as well as a back-up camera, heated front seats, leather seating surfaces, and a Bose Centerpoint Surround Sound System with AudioPilot 2, AM/FM stereo, in-dash 6-CD/MP3-compatible changer and 10 speakers. Optional equipment available for most or all 2013 Mazda MAZDA6 trims includes fog lights, a rear spoiler, remote engine start (automatic transmissions only), an auto-dimming rear-view mirror and a 4-month trial subscription to Sirius XM radio. There are also navigation packages and technology packages available for the Grand Touring trims. Safety features abound on the 2013 Mazda MAZDA6, including 6 airbags (advanced front airbags, front side-impact airbags and side-impact air curtains) as well as passenger-weight and driver’s seat position sensors, a collapsible steering column, foldaway brake pedal assembly and side-impact door beams—all standard. Other factory-equipped safety and security features include an antilock braking system with electronic brakeforce distribution and brake assist, tire pressure monitoring system and engine immobilizer. The i Touring Plus and Grand Touring trims also come standard with an antitheft alarm system and blind spot monitoring system. The second-generation 2013 Mazda MAZDA6, which competes in the midsize sedan market against the likes of the Honda Accord, Nissan Altima and Toyota Camry, was released to dealers in early spring. For 2014, the vehicle will be completely redesigned, taking many elements from the Takeri concept vehicle Mazda debuted at the New York International Auto Show in April. The redesigned third-generation MAZDA6 will likely make its debut at the 2012 Paris Motor Show in September and will be available at dealers the following winter. What's your take on the 2013 Mazda MAZDA6? Have you driven a 2013 Mazda MAZDA6? 45,000 Miles And A Dead Battery?